I’ve never been one for New Year Resolutions. There’s a natural rebel inside me who kicks against rules of any kind – especially those I try to impose on myself. I mean, really, who wants to be told what (and what not) to do by a finger-wagging fool who can’t even follow his own instructions? And yet … come the turn of the year I always feel in need of a little gentle encouragement. I’m looking for inspiration from someone who’s been there, done it and bought the T-shirt. 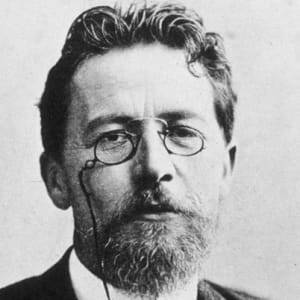 And who better than Anton Chekhov, a physician who was also a playwright often compared to Shakespeare and perhaps the most influential short-story writer of all time? In a May 10, 1886 letter to his brother Alexander, also a writer, Chekhov noted six principles of a good story. Absence of lengthy verbiage of a political-social-economic nature. Truthful descriptions of persons and objects. Audacity and originality: flee the stereotype. Finally, here are a few pieces of encouragement and advice Chekhov wrote in letters to Russian writer Maxim Gorky in the late 1800s. “You ask what is my opinion of your stories. My opinion? The talent is unmistakable and it is a real, great talent. For instance, in the story ‘In the Steppe,’ it is expressed with extraordinary vigour, and I actually felt a pang of envy that it was not I who had written it. You are an artist, a clever man, you feel superbly, you are plastic—that is, when you describe a thing, you see it and you touch it with your hands. That is real art. There is my opinion for you, and I am very glad I can express it to you. I am, I repeat, very glad, and if we could meet and talk for an hour or two you would be convinced of my high appreciation of you and of the hopes I am building on your gifts. Shall I speak now of defects? But that is not so easy. To speak of the defects of a talent is like speaking of the defects of a great tree growing in the garden; what is chiefly in question, you see, is not the tree itself but the tastes of the man who is looking at it. Is not that so? Like all good teachers he begins by praising achievement before offering a single word of criticism – and even then he is constructive, offering his student a positive way forward. Don’t know about you but I can’t think of a better way to start 2019! Happy New Year Dave. May 2019 be a great year with amazing and enjoyable writing. I’m with you on that, Debbie, a resolution after all! Thanks, Christine, I’m going to take them to heart – whoops, another resolution! Hehe, can’t get away from it! Thanks Dave. That was illuminating. Happy New Year to you! Glad you liked it, Opher, stuff like that makes one realise our common humanity. Thanks, Curt, and all the best to you and yours! Here’s to good writing and happy reading!